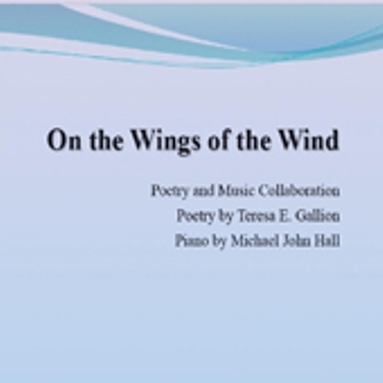 "On the Wings of the Wind" CD is a perfect blend of Teresa Divine Poetry accompanied by Micheal John Hall's Soft Piano Improvisations. Teresa’s work is published in numerous Journals and anthologies. She has two CDs: On the Wings of the Wind and Poems from Chasing Light. She has published three books: Walking Sacred Ground, Contemplation in the High Desert and Chasing Light.